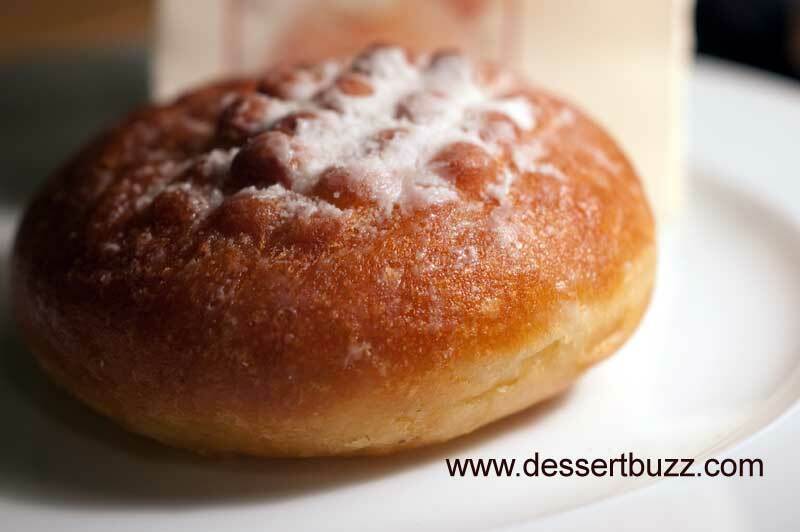 Dessertbuzz | Bomboloni, Bomboloni, Bomboloni: Upper West gets ANOTHER cool place! Bomboloni, Bomboloni, Bomboloni: Upper West gets ANOTHER cool place! 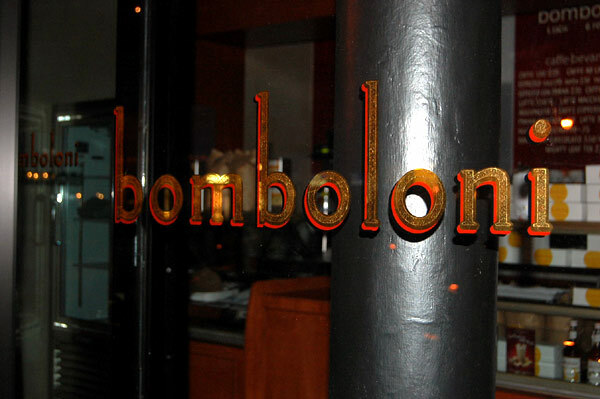 Updated: Wednesday, March 24: Bombolini confirmed open! After many false starts Bombolini, the highly anticipated Upper West Side Italian bombolini, gelato and specialty latte cafe is now open. After receiving just slightly less hype than the premiere for Avatar I was concerned that the opening of Bomboloni was going to be a let down. But after being greeted by the super-friendly staff (in Italian) and then immediately being offered a few free samples of gelato, I was won over. 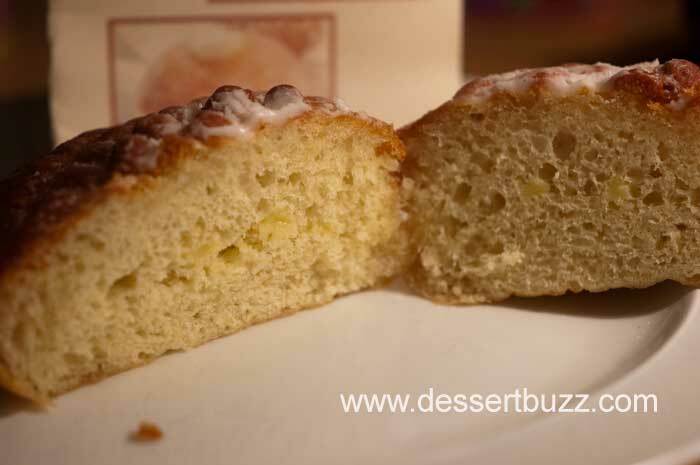 During the day they had pistachio, raspberry jam and traditional (custard and powdered sugar) filled bombolonis but by the time we arrived at 9:00p.m. they only had traditional left. We purchased two for $2.18 including tax, which is pretty reasonable. 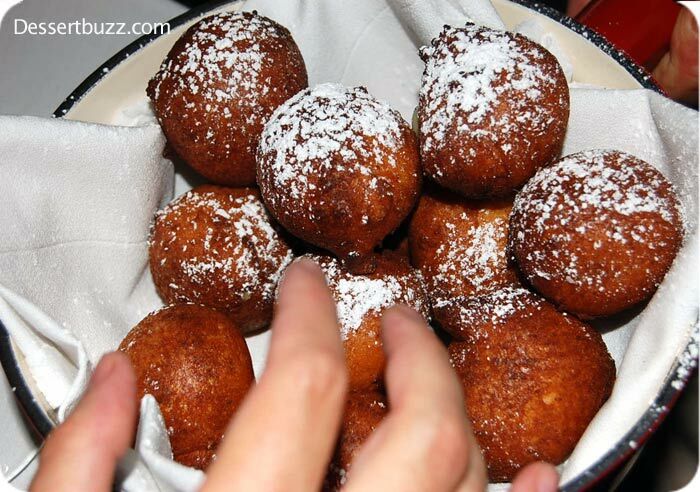 The Bombolonis themselves were actually really good. I know some people are concerned that these things are just Krispy Kremes dressed in Italian suits. In fact they are quite different and in my opinion much better. 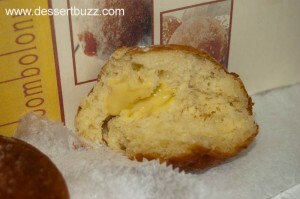 For one thing, the bombolonis are much less sweet and not quite as light and airy. There was only a small amount of traditional filling in the two that I ate. The dough reminded me a little of fresh baked challah bread, just a little bit sweet but almost bread like, a really fresh bread. At $1.00 each this place is going to be mobbed this spring and summer. There are some other interesting things on the menu that I didn’t try such as toasted marshmallow or dark chocolate raspberry latte. Bombolonis are $1 each or 6 for $5. 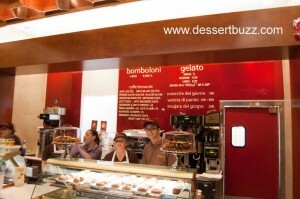 Dessertbuzz prediction: a huge Grom-like response on the Upper West Side. Last nigth at 10:00 p.m. I spoke to the man behind bombolini last night and due to Con Ed having to prioritze customers who lost service due to the storms last week, his appointments have been postponed. He said he is dissapointed but that people having electricity is more important. Definitely not opening this weekend. Just stopped by on the way home from work and there are about 12 workers laying tile, doing stuff in the basement. It looks like tomorrow for first open. I suppose they could start making donuts tonight bit there seem to be a lot of stuff on the counters. Thanks to Flo-Fab’s reminder, I grabbed my camera and headed down to Columbus Ave and 68th Street to check out Bombolini only to find a sign in the window that said “due to Con Ed issues we are delaying opening day until tomorrow”. Damn, I was in the mood for some deep-fried dessert. Hopefully by the time you see this post I will have eaten, photographed and reviewed these guys. 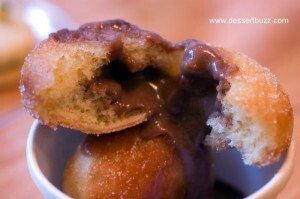 Until then, here are some other great Bombolini’s from Dessert Truck Works and From David Burke Townhouse. With filings like peanut butter cup, Gianduia (chocolate hazelnut), Apple Filled, Raspberry Jam and Tahitian Vanilla I think there will be a flavor for every taste. Surprised Street Sweets was not included in your April 17, 2010 event. have you had the bomboloni at caffe falai? i love them.